This time change has caused me to be so tired this week. I have had no energy or motivation to spend a few hours every day on blogging. I had great intentions of posting a recipe this week as well as my first post in a series about budgeting, but I have not finished either of them yet. The week is not over yet, so hopefully I can get those completed. Today I decided to borrow an idea from a blogger I have followed for years and go old school! I guess this is something that bloggers used to do "back in the day" which is before my time of blogging. 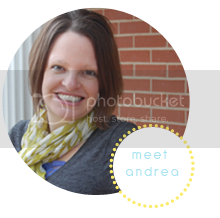 Basically, I just answer some questions (I borrowed from Musings Of A Housewife) and it will allow you to get to know me a little better! Wow, 10 years ago seems like so long ago. I love this question because I'm actually scrap-booking this week what I was doing 10 years ago. 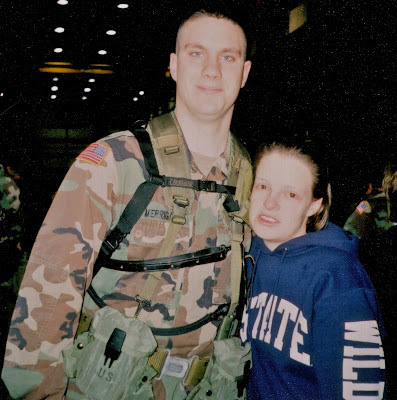 I was a newlywed of 3 months and already experiencing what military life was like as a spouse because B deployed overseas for the kick-off of the war in Iraq 1 month after we married. I wont re-tell "our story", instead go check it out here. Trust me, it is a great story and worth the read. We got married just in time for him to leave, and only a few people knew we were married. So for the month we were married before he deployed we either stayed at his barracks sleeping on his twin size bed or in my tiny room with a futon which wasn't much bigger then his twin bed at the house I shared with 3 other roommates. But we were newlyweds and didn't mind it at all! Speaking of sleeping in his barracks, that is a total NO-NO and we have a funny story of how we almost got caught breaking the rules because of a fire drill. I'll have to tell you that story another time. Saying goodbye before he deployed for war. Not a great picture because I had to scan it from a printed one and I look horrible with red eyes from crying! I had to share this one to, hugging goodbye. There is no other feeling comparable to saying goodbye to your spouse before they deploy, worst feeling ever! So 10 years ago I was a new military spouse who missed her new hubby very much. I also lived with my roommates that semester since he was not home, which helped me through those rough months of not talking to B and not knowing if he was ok or not. I had already finished college, so I was just working full time at Grandma Hoerner's and enjoying the last semester with my wonderful roomies. What are 5 things on your to-do list? Sign our tax papers and get everything sent in so we can get a refund! Clean out every closet, drawer, and room for preparation of our garage sale in April. Get resume updated so I can start looking and applying for jobs back in KS. Scrapbooking, Scrapbooking, Scrapbooking--trying to get the last 10 years done before we move back to KS. It is a little overwhelming. Quilting Class--not sure if I will have time for this before I move back to KS but I hope I do! Vanilla Latte-yes I consider this a snack! Cutie oranges--addicted to these right now. Donate money to people and/or organizations. I currently wish I could do this, as there are so many wonderful organizations out there that are truly helping people. Open my coffee shop/bakery ASAP. I hope to do this even though we are not millionaires! I used to watch too much TV. I have stopped this and only watch about 30 minutes of TV a day! Slouching--need to start doing yoga again to help with this. Not putting clean laundry away. Did you learn something new about me? If so, what did you learn? Now I want to learn a few things about you, so go leave me a comment with something I might not know about you. 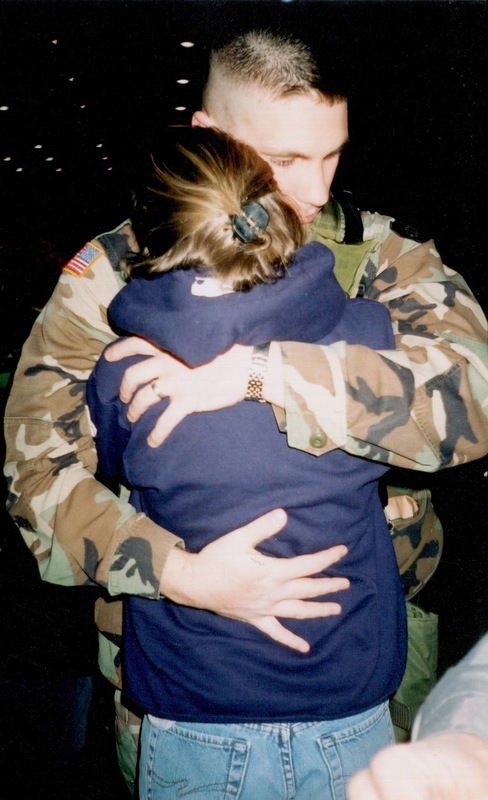 I agree that saying goodbye to your spouse as they head off to war is the worst feeling ever.